Welcome to Pandit Jasraj School of Music Foundation (PJSOM), Vancouver. PJSOM is dedicated to promoting vocal music in the Mewati Gharana within the Lower Mainland of Vancouver, British Columbia, Canada. Our Mission is to promote classical Indian music through instruction and performance. PJSOM is the FIRST INDIAN CLASSICAL MUSIC SCHOOL OF THE MEWATI GHARANA in North America. We are proud to be under the divine guidance of our Guruji Sangeet Martand Padma Vibhushan Pandit Jasraj ji. Please visit our Concert page for information about the upcoming concerts. 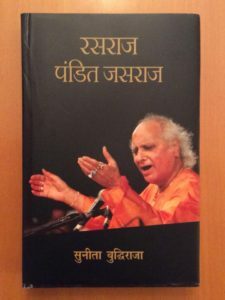 Bade Guruji Pandit Jasraj ji’s biography has been published. Please visit our gallery page for pictures of our previous concerts. Intermediate/Advance Level – Weekly classes held on Thursday from 6pm to 8pm.